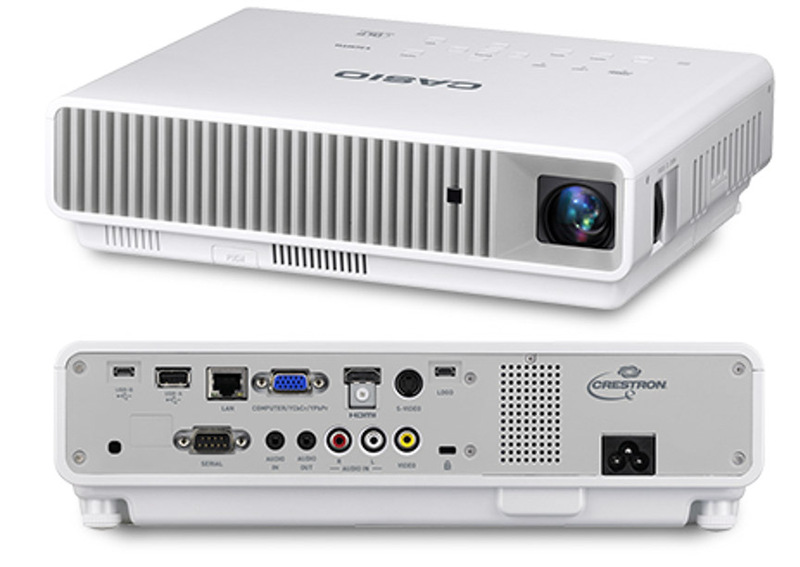 Make an impact in any lecture hall or venue with our Casio XJ-M156 Projector. New stock of the Casio XJM156 projector for hire. Conference and event projector hire in County Durham just got simpler thanks to the Casio XJM156, complete with 3000 lumens laser LED fusion bulb married to the simplicity of a USB interface for direct, laptop free presentations and file playback. With all standard connection present this is a very versatile, quiet & cool running projector which makes easy work of all projection tasks. Comes with an extra long HDMI cable and various other connection options housed in a road ready flight case. Full spec on the Casio website here. Pair this projector with our Da Lite 16:9 175 cm x 305cm projector screen and some speakers for a perfect package.